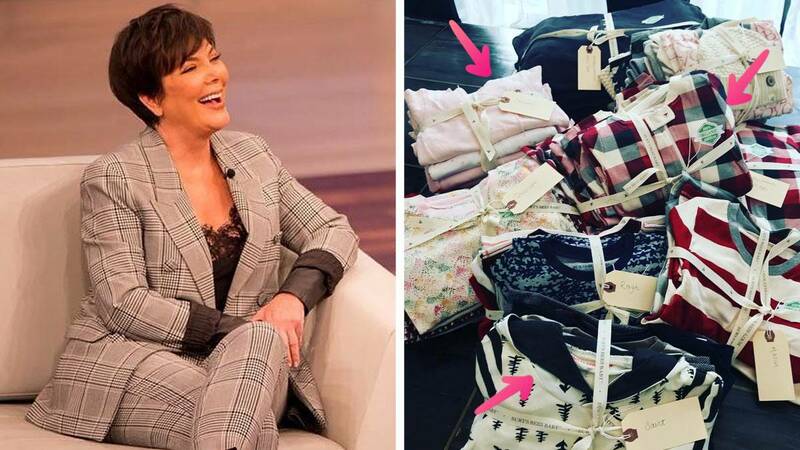 But Kris claims there isn't anything noteworthy about the fact that there are two more PJs than she has grandchildren. "Well, this was a gift," she told Steve Harvey during an appearance on his show. "Oprah had these pajamas as one of her favorite things. It's Burt's Bees Baby. They have the most amazing, beautiful, organic cotton pajamas. I went on their website and they were all sold out, so I called the company and said, 'Come on, don't you guys have a few left?' And that's what they sent!" MMMMMMmmmmmHHHHHmmmmmm, likely story. To quote a meme of Kris Jenner's: This is a case for the FBI.